It is essential that you protect your body from projectile wood chips by wearing protective goggles, steel-toe shoes and glove. You should avoid loose clothing or jewelry such as necklaces while splitting. Such could get tangled in a log splitter to cause you harm. You should split wood in an open field far from windows and cars. The projecting wood pieces might hit the glass and shutter it. An open field will also ensure you have enough freedom to swing the maul. You must not allow anyone to be close to your working area to avoid accidents. Prepare a solid, level ground for splitting. It is important to employ the r﻿ight techniq﻿ue to prevent unnecessary accidents and to improve the efficiency of cutting. 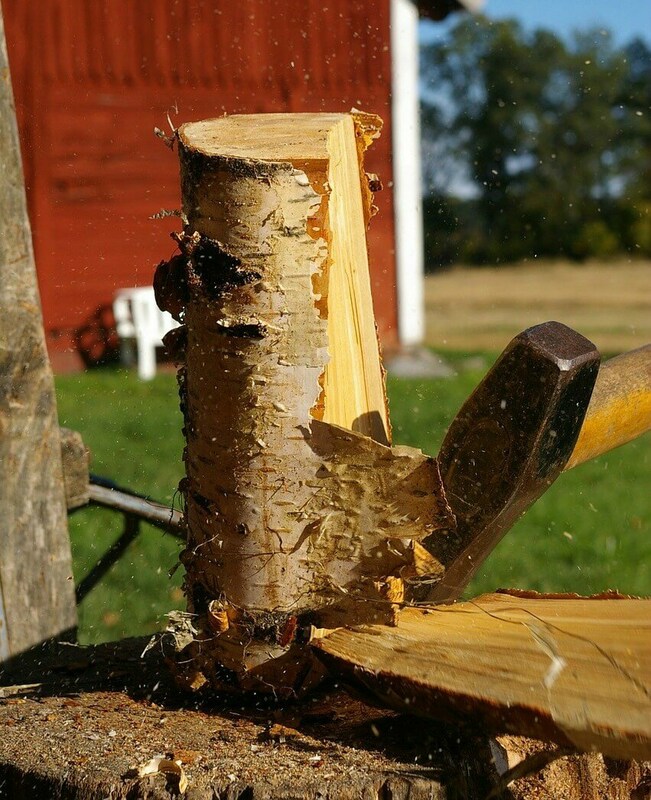 When splitting, always aim at the front and center of the log because overshooting could cause the handle to hit the log thereby harming you or damaging your maul. You have to know how often to take the brake and when to stop splitting altogether. Overexertion can stress your splitting maul and predispose it to breakages especially if the maul has a wooden handle. Besides, you will use too much effort thus limiting your productivity because of faster exhaustion. For this reason, you need to allow the logs to dry well before splitting them. Dryer woods typically split easily. The common misconception is that only strong men can split logs with a maul. Well, anyone capable of handling the tool can split mauls. However, you need to take care while splitting wood. Certain conditions that interfere with motor skills such as Parkinson’s disease may interfere with once able to handle the tool. Furthermore, if you are using medications that have effects on your motor abilities then you should not split wood. A new maul will do the work without any issues. However, you will need to take care to use a maul in good condition. Proper maintenance is of utmost importance. If the handle of the maul splinters or shows any signs of breaking then you must replace the handle instead of just using some sort of tape to hold it together. 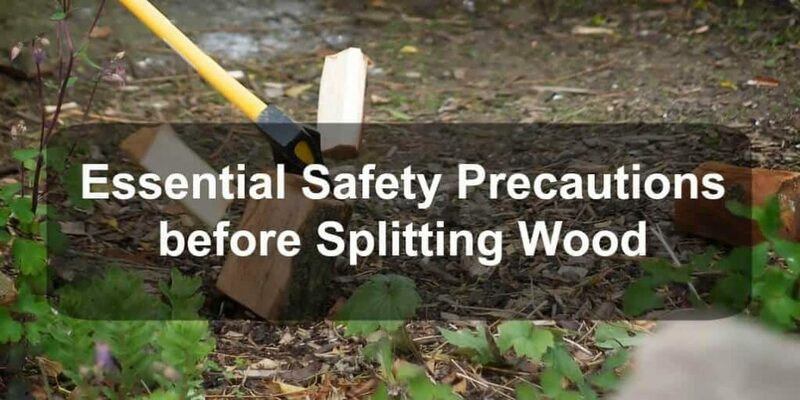 If you are thinking about using a splitting axe/maul for the first time or you have not been exercising safety precautions then it is time you started. You can observe the above-discussed 6 essential safety precautions before splitting to protect yourself or your loved ones from unintended harm or accidents. Take your time to learn about these precautions and employ them correctly. You will find splitting wood very easy, convenient and very safe.